In an article published March 30, 2016, Inside Toronto discusses non-profit developer Options for Homes. As an advocate for affordable housing, I am pleased with the addition of these units. Home ownership on a modest income keeps getting harder to achieve in Toronto, but a new Scarborough condo will give 250 people or families that chance. 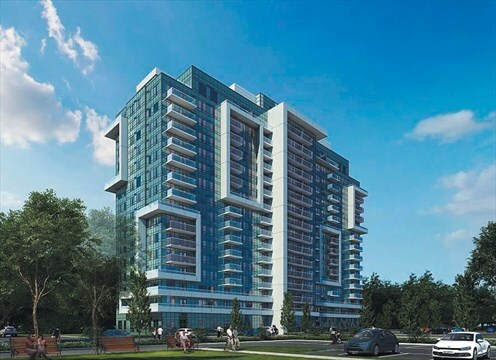 Non-profit developer Options for Homes celebrated starting work on an 18-storey building it calls Danforth Village Estates at a Toronto City Hall ceremony last week. Options said most units in the building, on Danforth Road north of Eglinton Avenue, were bought by families with an average income of $53,000 a year. The builder first applied in 2012 to sever land behind three rental highrises at 1340, 1350 and 1360 Danforth Rd,, hoping to finish the new building in 2015. The company now says people can start moving into 1345 Danforth Rd. next summer. Options promised to create a new party room, gym and children’s play area for the existing three buildings and well as its new residents. It has also pledged improvements worth $450,000 to local parks, Cliffcrest Community Centre and the Bendale public library.